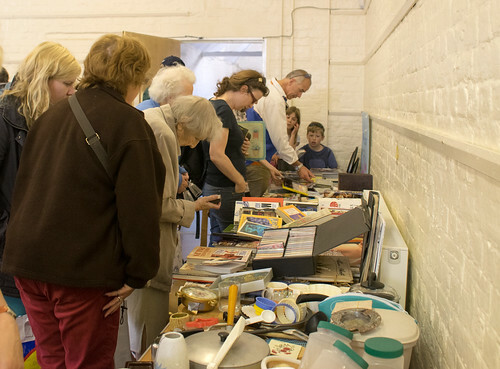 If you’ve not been to a Recycle Swap Shop before, your next chance is Sat 11 May at St Mary’s Centre on Lion Street, Rye! Doors open at 09:30, if you have stuff to bring, it needs to arrive before 11am. You can browse and take stuff any time from 09:30-11:30. Remember, you DO NOT need to bring stuff, we’re very happy for people to come and just take stuff away – in fact we need people to do this, or there’s too much left over at the end… More details on how it works below. Please note that there is no on-site parking. Parking is possible on the road nearby, but there are restrictions. Please share the facebook event if you can! If you’d like to print a poster, you can download it here. What is a ‘recycle swap shop’? Many of us have things in our homes which we no longer want or use, but we feel are too good to throw away. These things sit around, sometimes for years, waiting for us to find the right person to give them to, and eventually they may end up being thrown in the bin. 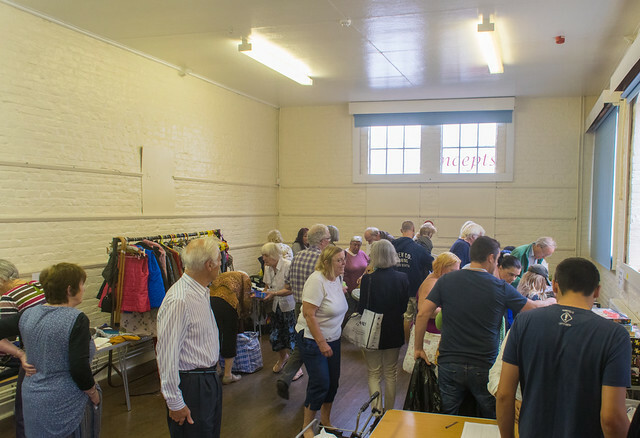 This Recycle Swap Shop is an event run by St Mary’s Church and Transition Rye to provide an alternative for local people who would prefer to recycle such unwanted items to others in the community, rather than throw them away. You can bring your items to the hall and leave them there for others to take away. At the same time, you can look around and see if there is anything you’d like to take away yourself! You are welcome to only bring stuff, or to only take stuff, or to just come along and browse and have some free refreshments and a chat. This is a social event too, where everyone wins! Anything left over will be disposed of through Rye Freegle, charity shops or recycling, as appropriate. Takers get things they want for free! We all end up with a chance to meet other local families for a Saturday morning chat, and we put less rubbish in land-fill, both helping the environment and saving tax-payers’ money. Please bring items before 11am, so there’s time for people to take them. All items MUST be 100% free and must be from domestic (not commercial) sources. If you have bulky items, like bikes or furniture, then please don’t bring these to the Recycle Swap Shop. Items such as this are best recycled through Rye Freegle. Only bring items that can easily be carried by one person to the Recycle Swap Shop. No rubbish. Please don’t bring anything that really is no good to anyone. 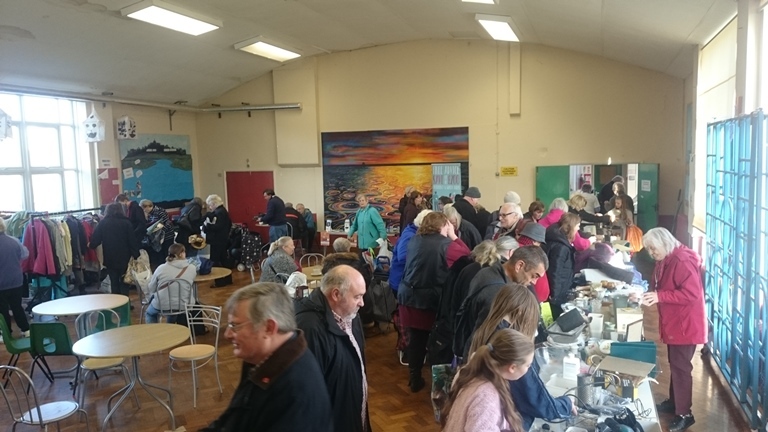 The Recycle Swap Shop is run a small group of local people who volunteer their time to organise these events and we don’t want to end up with a whole room full of rubbish to take to the dump! 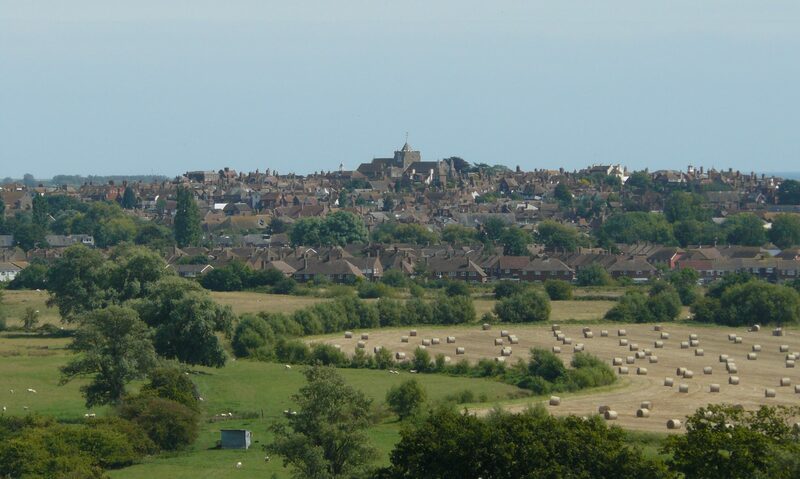 Come and join us for Green Drinks – a drink and a chat about the latest developments in sustainability in Rye! The next event is on Sat 11 May at St Mary’s Centre, Rye. 09:30-11:30, but you can only bring stuff up to 11:00. This month we have another Recycle Swap Shop! It will be on Sat 19 January at the Tilling Green Community Centre, Mason Road, Rye! Doors open at 09:30, if you have stuff to bring, it needs to arrive before 11am. You can browse and take stuff any time from 09:30-11:30, but best not to leave it until the last minute! Remember, you DO NOT need to bring stuff, we’re very happy for people to come and just take stuff away – in fact we need people to do this, or there’s too much left over at the end… More details on how it works below. 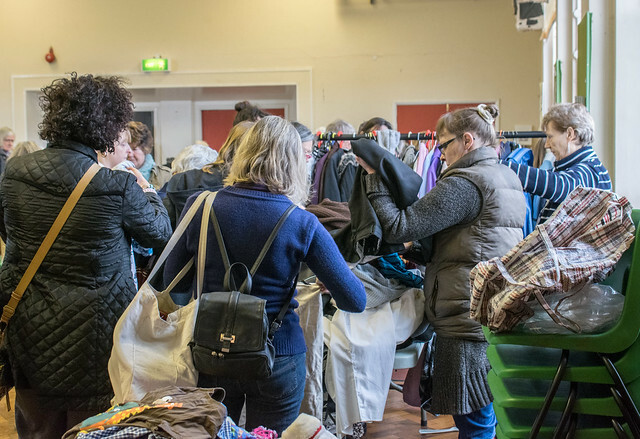 This Recycle Swap Shop is an event run by Tilling Green Residents Association and Transition Rye to provide an alternative for local people who would prefer to recycle such unwanted items to others in the community, rather than throw them away. 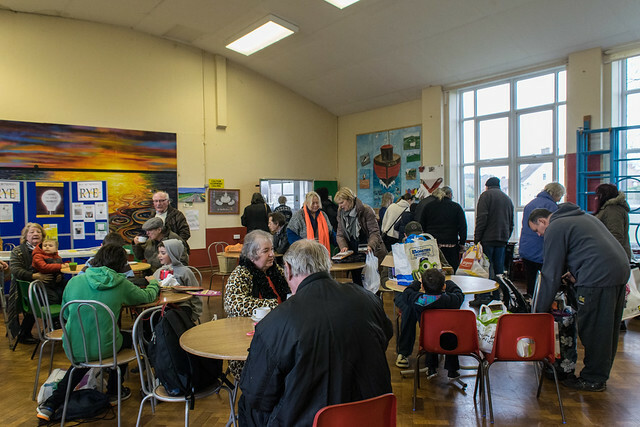 We all end up with a chance to meet other local families for a Saturday morning chat, and we put less rubbish in land-fill, saving both the environment and tax-payers’ money. 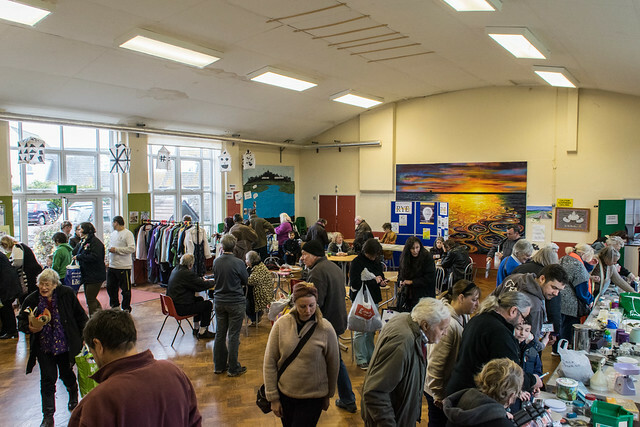 If you’ve not been to a Recycle Swap Shop before, your next chance is Sat 3 Nov at St Mary’s Centre on Lion Street, Rye! Doors open at 09:30, if you have stuff to bring, it needs to arrive before 11am. You can browse and take stuff any time from 09:30-12:00. Remember, you DO NOT need to bring stuff, we’re very happy for people to come and just take stuff away – in fact we need people to do this, or there’s too much left over at the end… More details on how it works below.